Hello and welcome to the Trailer Hitch RV Center where we offer you the lowest prices everyday. Our dealership has been serving the RV needs of the Central Coast of California and beyond since 1968. From the beginning and up to this very day we have been a family owned & operated dealership. Our very first location resided on Grand Avenue in Arroyo Grande, California between 1968 - 1977. The Trailer Hitch was the very first RV dealership in the state of California to sell fifth wheel trailers! In 1978 we expanded our dealership a few miles down the road to 444 South Dolliver Street in Pismo Beach, California. We made Pismo Beach our dealership home for the next 30 years. In early 2008 we moved our entire dealership once again from Pismo Beach to our current location just off the U.S. 101 HWY at 215 North Frontage Road in Nipomo, California. Our parts department also found a new location and a new name! RV World Ltd. is now located at 1530 West Grand Avenue in Grover Beach, CA. RV World Ltd. has the largest selection of RV parts and accessories on the entire central coast. 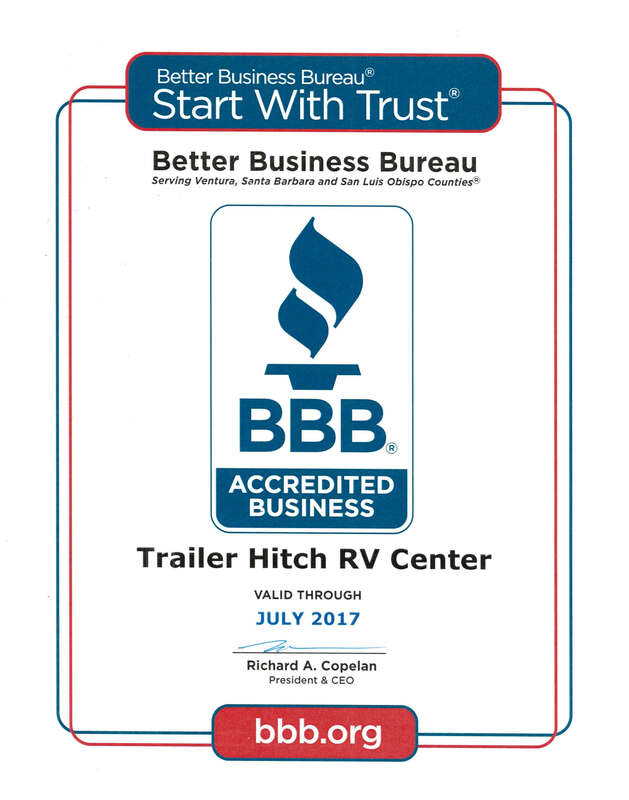 The Trailer Hitch RV Center is a professional, full service dealership. We specialize in RV Sales, Service & Parts. Call us today!